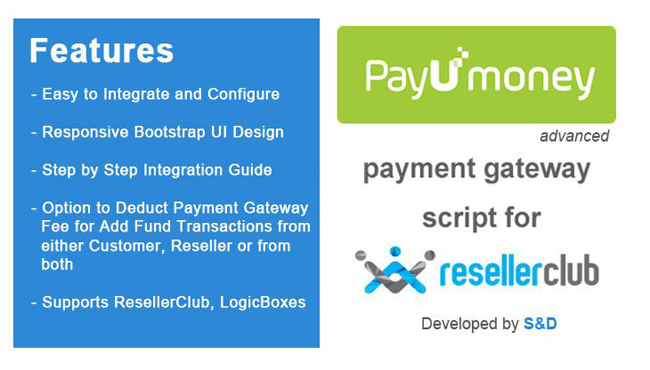 This script helps you to accept Online payments through PayUmoney payment gateway on your Supersite storefront and Orderbox control panels with providers such as ResellerClub, and LogicBoxes. Additionally, there are options to deduct payment gateway fee for Add fund transactions from either Customer, Reseller, or from both. Don't Have a ResellerClub Account? Don't Have a PayUmoney Account? Have a question or need help with this item? I just downloaded and tested the script. It seems to be working just fine. One of the best coders that I have worked with. Very pro-active, excellent communication and works long hours. Will definitely recommend. 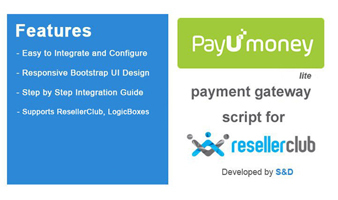 Thanks for the support to update the PAYTM script. I will definitely recommend your script to my friends. Good service, well written script and prompt responses! YOUR WORK IS VERY GOOD AND APPRECIABLE.